Tru Blue II Medicated Spray is for the treatment of hopple chafes, galls and scratches, it quite simply is the animal solution to Dettol. Have you ever walked out to find your horse has injured itself in a paddock scuffle, his box, or by simply being a horse? Or found a saddle or harness gall (otherwise known as Girth Galls, Saddle Sores, Blisters, Girth Sores, Pressure Sores, Harness Sores)? Saddle galls and sores from riding and harness galls that occur under driving harness are caused by friction. They are similar to a blister that forms from wearing tight fitting shoes. 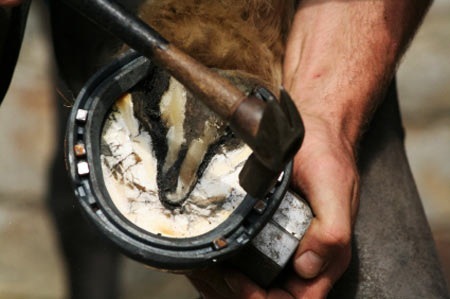 The sores can be caused by tack that has a build up of grime and sweat that grinds the dirt into the horse’s skin. Tack that is too tight or stiff and inflexible may cause chaffing that leads to saddle sores. 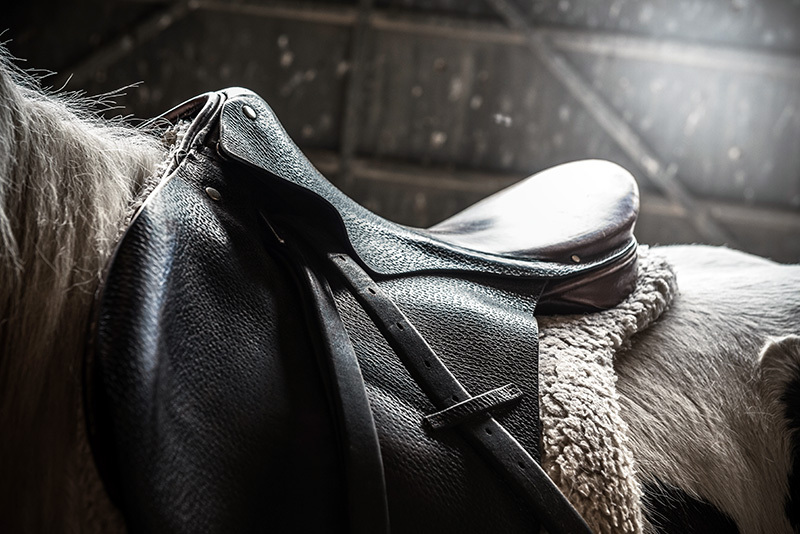 Occasionally, a foreign object may become lodged between tack and horse, causing chaffing. 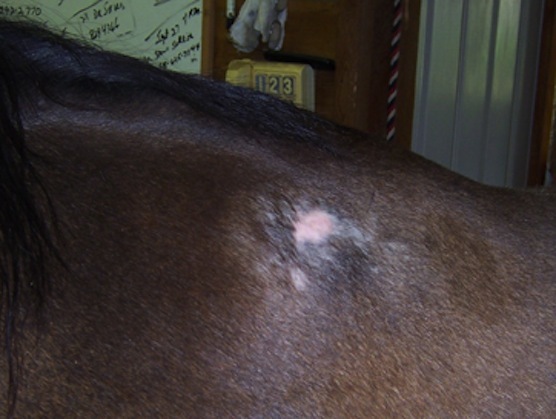 Some horses with very sensitive skin are prone to saddle and girth sores and require extra care. Saddle and harness galls may appear as slight rubs where just the hair is missing, or very inflamed open blister-like wounds. The hair may not be rubbed off and the gall or sore may show as a swollen lump under the skin–somewhat like an unbroken blister on your foot. The lump can be tiny, or quite large. Girth galls commonly form just behind the elbow of the horse in the girth area, but can occur anywhere the girth or cinch lies. Very severe saddle sores can form deep ‘holes’ that can become infected. Left untreated, permanent damage and scaring to the skin and underlying muscle can occur. Hopple Chafe Lotion gives instant relief to stubborn chafes, skin abrasions, saddle or harness galls simply by spraying the affected area with the product. Quick drying, Tru Blue II penetrates with antiseptic and anti fungal qualities. It is a water-based disinfectant of which the blue colour assists to indicate where it has been applied. For best results repeat the treatment course daily, or twice a day until healing is complete. Tru Blue II Medicated Spray is available in 500ml size and can be used on all animals. Avoid splashing in eyes or ears. If splashed in eyes, wash out immediately with copious amounts of water.